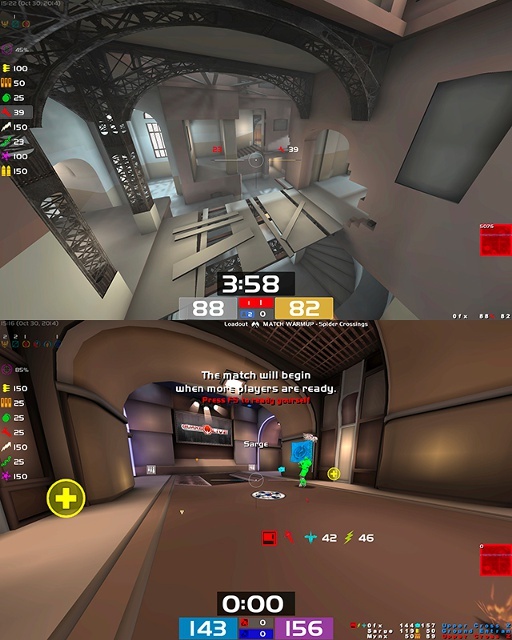 Description: Two HUDs: 1. 0fx-soft (rounded corners, custom images) 2. 0fx-hard (default images) --- Always use 0fx-hard to load a game, as QL will not load external images. For ideas, see included config. --- Weapon Accuracy included, see .menu files. --- To shoot use "+attack;+scores;-scores" in your config to update awards & overall accuracy.